I love the revision process because in writing and life, to revise our process can signify more about us than the art we create. The challenge we must pose to ourselves is to revisit something familiar with completely new eyes. Whether it’s an essay, a facet of our own identity, or our perspective on the world, if we approach revision with an open mind, the process can be an opportunity of discovery and exploration. I find this notion of revision to be particularly pertinent during the holiday season. As a child, I could barely contain my anticipation of the holidays. Thanksgiving and Christmas were thrilling opportunities to eat to my heart’s content, get exactly what I recorded on a wish list, break free from homework, and spend time with family. In retrospect, I’m regretful of my limited perspective. As an adult who is responsible for the educational, social, and moral betterment of children, I think it’s important for students to approach the holidays with a mindset that has space for compassion and philanthropy along with the turkey and the presents. If the holiday season is truly meant to be about family, tradition, and generosity of spirit, then we are all responsible for providing kids with opportunities to expand their outlook. Why not kickstart a revision of the holidays with Giving Tuesday. Hot off the heels of Black Friday’s mad dash and Cyber Monday’s shopping spree, Giving Tuesday is an international day of generosity and “unselfies” devoted to the true spirit of the holiday season. Giving Tuesday is a movement in which hundreds of organizations, corporations, non-profits, celebrities and leaders have teamed up to promote charitable giving. Individuals participate by engaging in charitable events or sending donations to their favorite causes. By participating with our families in Giving Tuesday, we offer kids the chance to revise their perception of the holiday season. Working in soup kitchens, volunteering on community projects, or donating clothes to homeless shelters, children can make room for a spirit of charity and generosity. Moreover, Giving Tuesday allows for a sense of personal connection to acts of contribution. Many of our nation’s greatest struggles seem like faceless, insurmountable afflictions to children and students. By participating in Giving Tuesday, we are showing kids concrete ways that they can make a difference while building a sense of community responsibility. We are also teaching them to consider the needs, wants and hardships of others in a solution-oriented way. We can help our kids connect giving and charity with power and self-awareness. 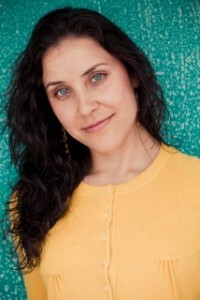 In the same spirit of empowerment and compassion, littleBLUEPRINT.com’s personalized and ready-made children’s books offer families an avenue to tackle tricky issues such as loss, divorce, and holiday celebration. Founded by attorney and writer turned “momtrepreneur,” Katherine Eskovitz, littleBLUEPRINTs guide children to make a plan or blueprint for themselves – how they will celebrate their holidays, cope with their parents’ separation, or express their sadness and anger in times of loss. 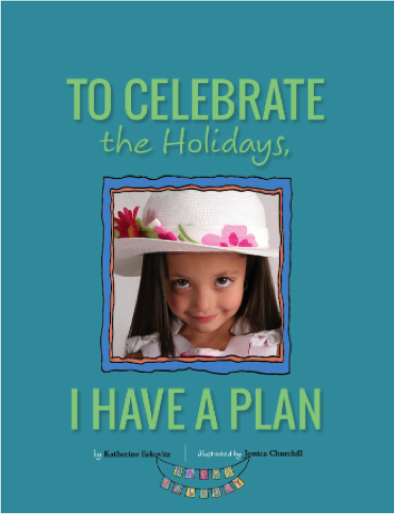 “To Celebrate the Holidays, I Have a Plan” promotes great values for kids that take our national holidays beyond materialism. This particular littleBLUEPRINT explores community, gratitude, love, tradition, family, and leadership. littleBLUEPRINT’s approach to holiday celebration is all about reflection and giving back. 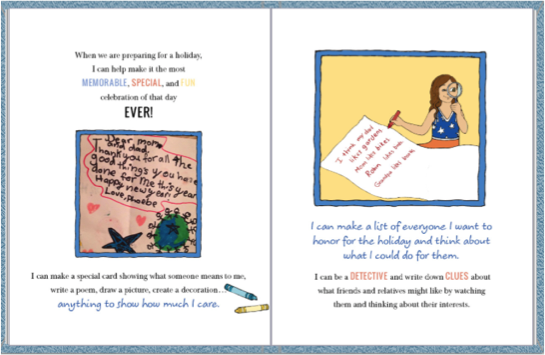 Suggesting that kids make their celebrations memorable and special by creating cards, poems, and drawings for the people they love not only honors a spirit of generosity but also presents the holiday season to children as a time to celebrate themselves, their loved ones, and the world around them. 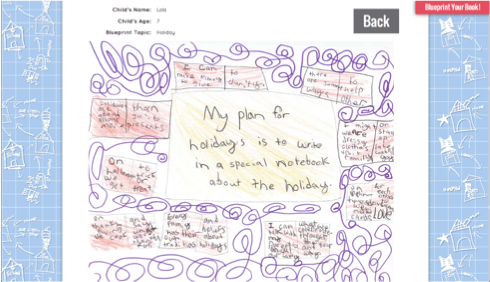 “To Celebrate the Holidays, I Have a Plan” challenges children to be agents of change: After introducing more altruistic elements of the holidays, this particular littleBLUEPRINT asks children to construct a plan on what they will do to make their holiday memorable for themselves and others. littleBLUEPRINT.com challenges our kids to consider themselves in the context of others and take action in making the holiday memorable. littleBLUEPRINT’s Have A Plan series is the gift that keeps on giving, long past the holiday season. Topics Address Important Events in a Child’s Life: littleBLUEPRINT’s objective is to help children “thrive during life’s challenges and celebrations.” Have A Plan options currently include: sleep, safety, holidays, mourning/death, divorce and separation. 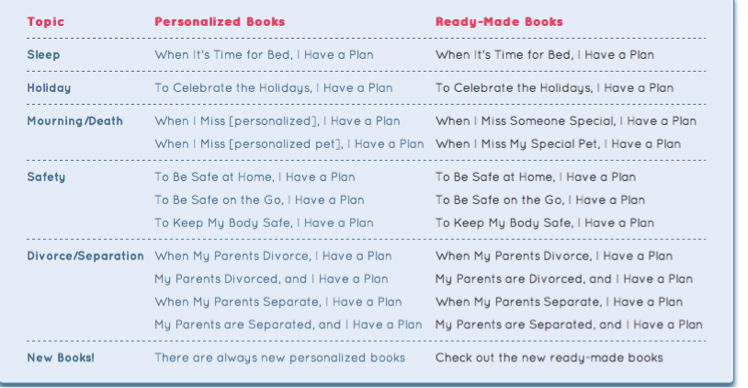 Personalized: The author of a littleBLUEPRINT book can truly engage children by making them the heroes of their own stories through the use of family pictures and autobiographical content. Thoughtful, Expert-Endorsed Scripts: With an advisory team of children’s book authors, parents, psychologists and pediatricians, story narratives skillfully explain the most difficult transitions for children in a way that’s uplifting, thoughtful, and loving. The series is meant to facilitate communication and to teach kids healthy, proactive ways of expressing themselves. Empowering for All Ages: By teaching toddlers and teens alike the skills they need to manage stress, excitement, sadness, fear and uncertainty, kids can have a sense of control in tumultuous times. Have a Plan books are structured to lead to a step-by-step method for how a child or young adult can respond to both good and bad times in their lives. littleBLUEPRINT.com Believes in Kids: They believe that with the right conversations and expectations, students can take ownership of the events in their lives and positively impact the lives of others. STARTING TODAY with GIVING TUESDAY, let’s provide our kids and teens with opportunities and the foundational skill set to contribute to their many communities in meaningful, empowering ways. A book from littleBLUEPRINT.com is a profound method of not only deconstructing hardship and celebration, but also of building coping and leadership skills in our children. Join W.O.R.D. 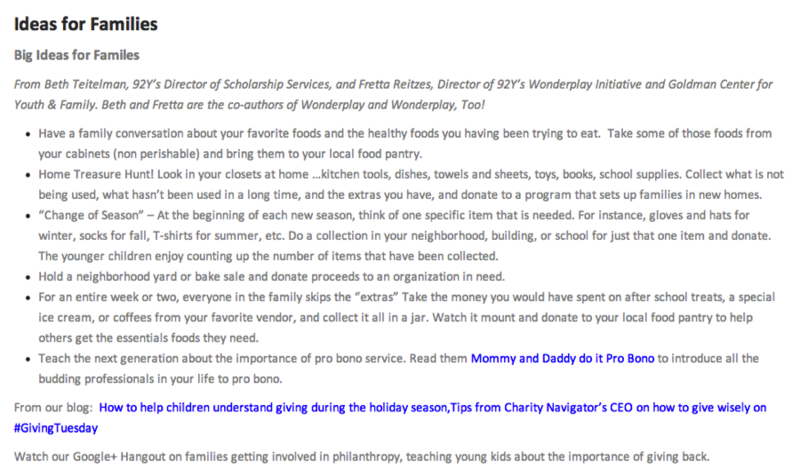 Ink in re-visioning the holidays with Giving Tuesday & littleBLUEPRINT.com. A child’s life is his or her own unfolding story. Show them how to be their own hero.